Night Shade Bag-it, nifty keyring reusable fold up shopping bag in handy clip-on bag pack. 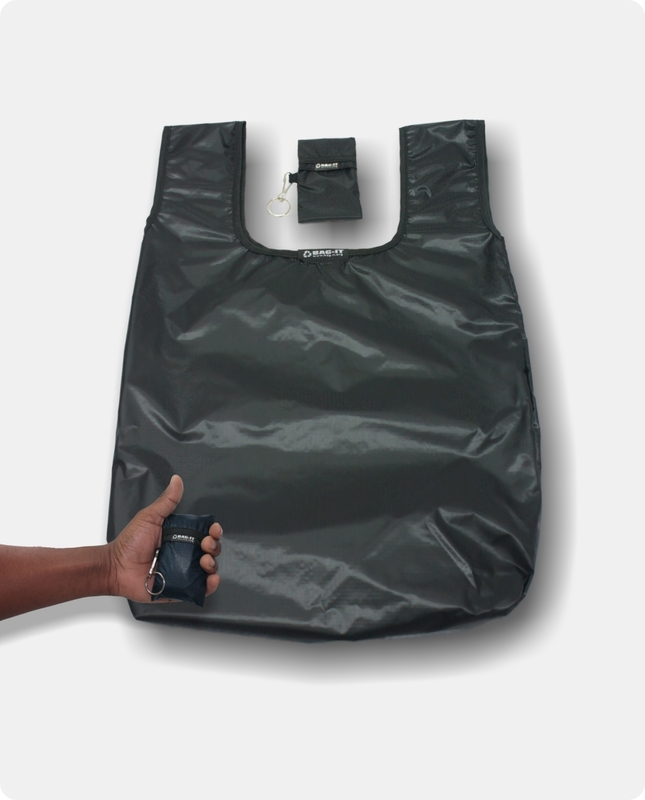 Bag-it reusable grocery bag is designed to be with you all the time. Just pull out of the bag pack pouch and use. 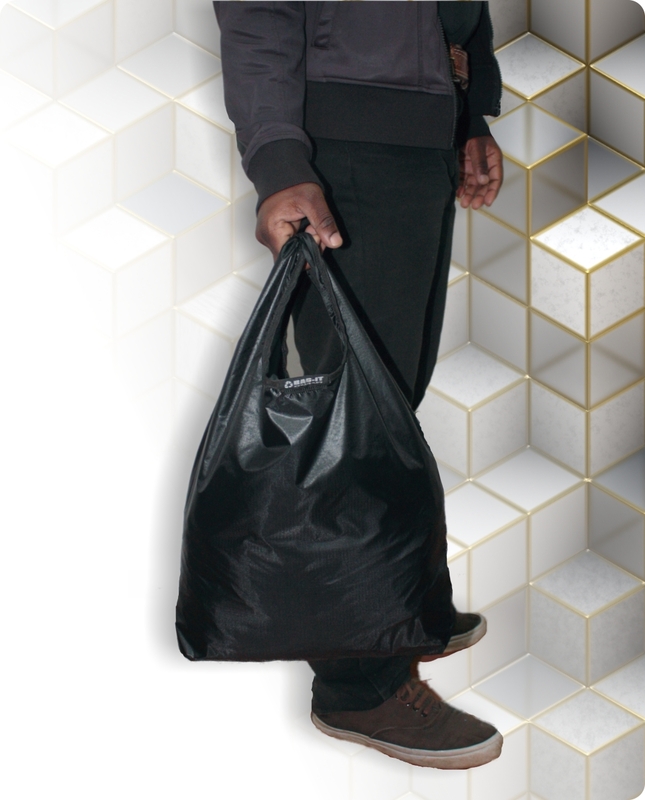 The Regular Bag-it Bag can be packed with up to 8 kg of goods – Strong, durable and attractive, made from rip-stop nylon. Attach to keys, bag, belt, handbag, backpack or briefcase….anywhere where it will be with you at all times. 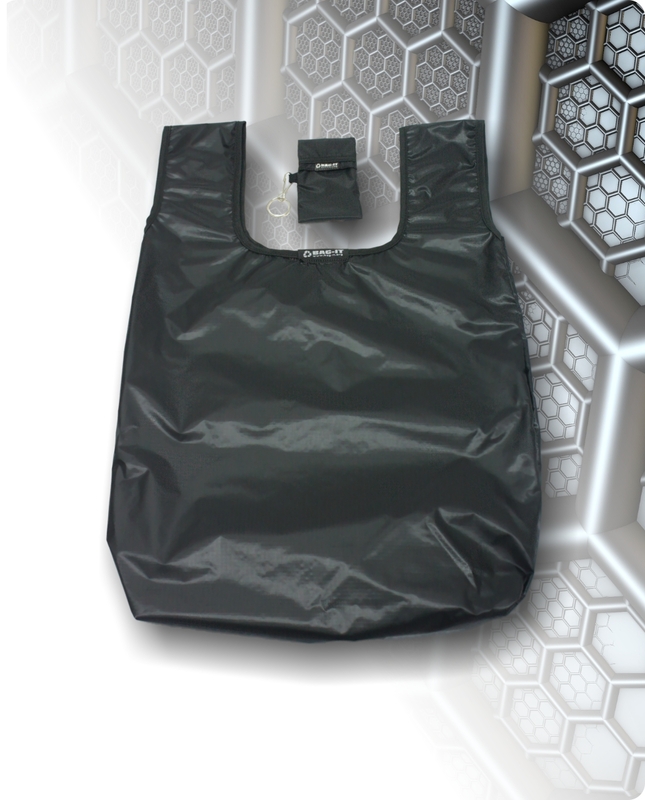 The Night Shade shopping Bag-it is designed to be with you all the time. 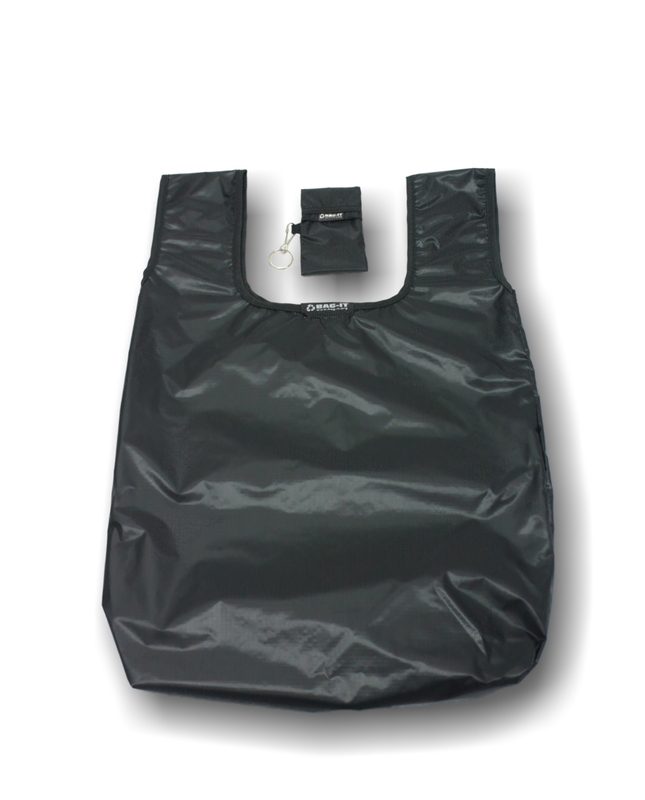 Attach Bag-It to keys, bag, belt, handbag, backpack or briefcase….anywhere where it will be with you at all times. It is advisable to buy a few Bag-it bags and keep as washing replacements – suggested places to keep handy are: car, handbag, key area etc. Attach replacement Bag-it bag as soon as one is removed for washing, ensuring that you always have Bag-it bag with you at all times. Ask yourself – How many bags do you normally use/need when you go shopping? Bag-it unisex fold-up reusable shopping bags make lovely gifts for everyone whether young or old. A gift guaranteed to be appreciated and used. 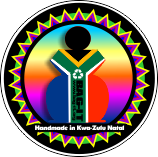 The aim of Bag-it is to reduce waste, for a cleaner, litter free environment. This change starts with YOU, by investing in Bag-it you will be reducing your carbon footprint and leading by example. Become part of this unique initiative with BAG-IT.